Trematodes are common parasites in intertidal ecosystems. In North Atlantic, many of them use periwinkles Littorina saxatilis as the first intermediate host. In 1980s and 2000s, we studied the infection with trematodes in the edge populations of L. saxatilis along the western coast of Novaya Zemlya, Vaygach and Dolgiy islands in the Pechora Sea (South-Eastern Barents Sea). We found six trematode species: microphallids of “pygmaeus” group (MPG) (Microphallus pygmaeus, M. piriformes, M. triangulatus and M. pseudopygmaeus) (Microphallidae), Podocotyle atomon (Opecoelidae) and Tristriata anatis (Notocotylidae). 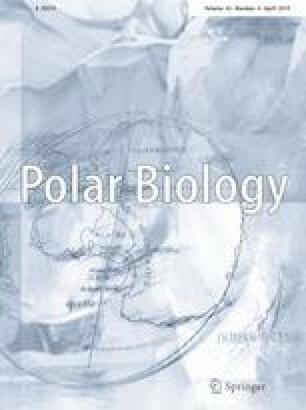 The success of their transmission in the ecosystems of the Arctic intertidal is based on a certain isolation of their larval stages from the environment and on the abundance of the second intermediate and final hosts. The main role in the determination of the species composition and infection levels of trematodes in periwinkles is played not by regional gradient of climatic factors from Novaya Zemlya to Dolgiy Island or exposure to wave action but by regional distribution and abundance of the final hosts of these parasites, seabirds and fishes. Comparison of parasitological data from the 1980s and the 2000s showed that though the general character of differences in the infection of periwinkles between the regions had not changed significantly, the prevalence of MPG increased along the coast of Vaygach and M. piriformes and T. anatis expanded their distribution along its coast. This may be explained both by the changes in the numbers or distribution of birds and by climate warming, which promotes the transmission of parasites in high latitudes. This article belongs to the special issue on the “Ecology of the Pechora Sea”, coordinated by Alexey A. Sukhotin. The online version of this article ( https://doi.org/10.1007/s00300-018-2413-3) contains supplementary material, which is available to authorized users. We thanks the crew of the RV Pomor and the RV Professor Vladimir Kuznetsov, whose excellent professional skills made it possible for us to work in the Arctic coastal waters off the islands of the Pechora Sea, which are notoriously difficult for navigation. We also thank the colleagues who helped us with collection and primary treatment of the material in the course of expeditions. We are grateful to Natalia Lentsman for her help with the translation of the MS into English. We thank Dr. Eric P. Hoberg, the anonymous reviewer and the Editors for their well-considered comments on an earlier draft of the manuscript. The expeditions onboard RV Pomor in the 1980s were financed by the programmes of the Murmansk Marine Biological Institute of the USSR Academy of Sciences and those onboard RV Professor Vladimir Kuznetsov in the 2000s, by the programmes of the Zoological Institute of the Russian Academy of Sciences, the Russian Foundation for Basic Research and the programmes of the Russian Academy of Sciences “Fundamental Research for the Development of the Russian Arctic Zone”. The treatment and analysis of the accumulated data were supported by the Russian Science Foundation (Grant no. 18-14-00170).